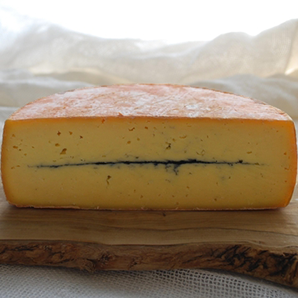 Over the last half century, Rogue Creamery cheeses have received international acclaim. 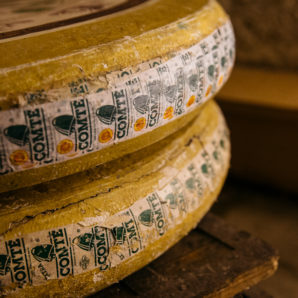 The USDA certified organic pasteurized whole cow milk we use to make these original cheeses comes from Rogue Creamery's exclusive dairy along the banks of the rugged and scenic Rogue River. 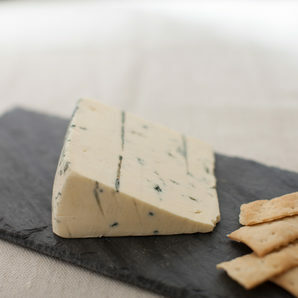 Inspired by a sense of place for 80 years, Rogue Creamery draws from the beauty and flavors of Southern Oregon's Rogue River Valley to create nine handcrafted blue cheese recipes, cheddar cheeses and TouVelle. 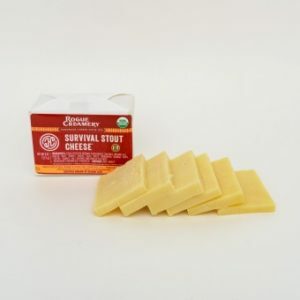 Survival Stout Cheddar is a subtle blend of stout and award winning buttery cheddar. The Organic American Stout from Hopworks Urban Brewery® is brewed from seven grains of the ancient world and finished with cold-pressed Organic Stumptown Holler Mountain® coffee conveying flavors of molasses, and roasted malts in this beer cheddar duo. Coppinger Cove is the secluded hollow that is home to the farm and creamery. 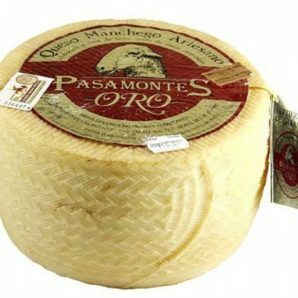 Its namesake cheese is a take on the classic French Morbier. 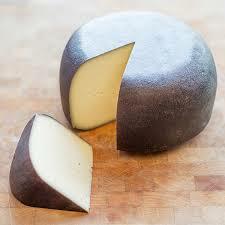 Coppinger's velvety, semi-soft paste is bisected by a layer of vegetable ash, and offers notes of fresh grass and smoked meats. 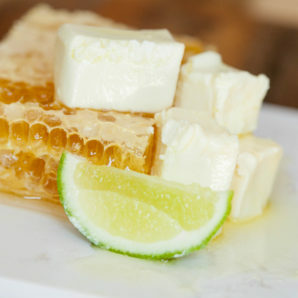 The cheese is versatile enough to cook with or feature as part of a cheese plate.